"You have to be an astute track fan to really understand [1,500m is] about 110 yards short and you're going to add anywhere from 15 to 17 seconds. By the time you do all of that, you've lost a large share of the general public." - Jim Ryun, talking in an AP article about the "Bring Back The Mile" campaign. 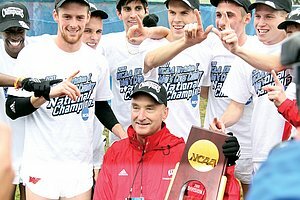 The article talks about the group's goals and includes some interesting history behind the mile and the US's move to 1,500/1,600 distances. Ryan Lamppa, who heads the group, says that he'd like to one day see them go to the mile at the Olympics. Got kicked off my track team.. US athlete you would most like to spend Valentine's Day with? David Beckham claims in this month's Health magazine he runs 12 miles at game, B.S! Preview Of Tomorrow's RAK Half Marathon Last year on this course, Mary Keitany set the WR with 65:50. She returns this year along with Geoffrey Mutai. Vivian Cheruiyot Headlines Deep Fields At Saturday's Kenyan National XC Champs If the article is correct, the women's field includes World XC 2nd placer Linet Masai, 2010 World Jr. XC champ Mercy Cherono, Daegu 5k silver medallist Sylvia Kibet, and Priscah Jepleting. Men's field has World Junior XC champ Geoffrey Kipsang, Isaiah Kiplagat, Matthew Kisorio, Philemon Limo and Moses Masai. These are just some of the top Kenyans competing. 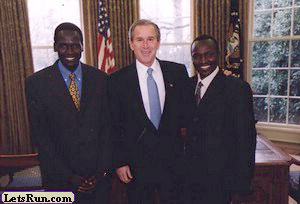 Article also lists Geoffrey Mutai; however, he is racing the RAK Half Marathon tomorrow. A Look At The Fields For Saturday's Sydney Track Classic David Rudisha in the 400; Asbel Kiprop, Nick Symmonds & Jeff Riseley in the 800. 1,500 includes Will Leer, David Torrence, Craig Mottram and Collis Birmingham. Interesting Read: Patrick Makau Speaks On Being Self Coached, His Half Marathon Loss In Spain, And His Two Newborn Twin Sons He gives great training advice, as he talks about listening to his body and says that he could have won in Spain, but he decided to save himself or other things ahead. IOC Says They Respect Rome's Decision To Withdraw From 2020 Bid, But IOC Vice-President Thomas Bach Says He Thinks They Missed An Opportunity The "short list" comes out on May 23, but without Rome, all 5 current bidders might go through to the final round. Ireland Olympic Athletes Warned To Expect Cuts In Funding Over Next Couple Years Current funding ranges from $40,000 to $12,000/year depending on the individual's status. 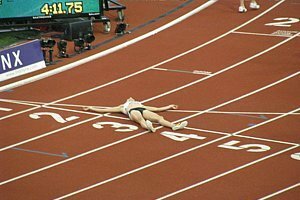 Track & Field Superfan Blogs: "What's Missing Here?" (From Front Page Of USATF Website) "An Olympic year, a struggling sport dying for attention, and the people who call the shots can't swallow their pride for even a minute." 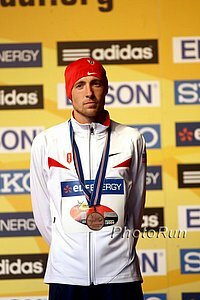 Ryan Craven Blogs About USATF Failing To Acknowledge Any Results From Millrose, Even Lagat's 5k Record "Not acknowledging American Records is a low blow. ... You may think yourselves clever for not mentioning anything of their achievements while showering praise over your own events, but you do so at the sport's expense." Rome Withdraws From 2020 Olympic Bid Citing Financial Reasons They cite financial difficulties as their reason. Madrid Says Winning 2020 Olympic Bid Would Be Major Source Of Economic Development Funny how economic difficulty is the reason Italy says they can't host, but the reason Spain says they should. Baku Claims Their 2020 Olympic Bid Is A Big Improvement Over The One They Submitted For 2016 They should hope so as they didn't even make the final list in 2016. Could The World Championships One Day Be In Tanzania? Seb Coe is all for it. Brits Are Outraged That For $30,000 You Can See Men's 100m Final + Get 6 Days + VIP Access To Olympic Transportation Lanes The transportation lanes supposedly aren't for sale but the high end tour developers apparently are paying coaches to travel with their high-end clients. And it really costs $700,000+ for 23 people. Lots Of Athletes Without Lottery Funding Are Coming On In 2012 & Coach Charles van Commenee Promises To Help Them If They Need It Apparently the free health care over there doesn't cover MRIs, as van Commenee says he'd help get them one of those. College: Ryan Hill Runs 7:43.08 American Collegiate 3,000m Record Diego Estrada was 2nd in 7:44. Conspiracy? Despite A New 400m PR, Yohan Blake Starts Season With A Loss Allodin Fothergill took it in 46.29 to Blake's 46.4. 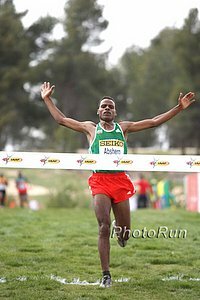 Kenyans HSers, Charles Ndirangu And Susan Wairimu, Running In Japan Win Weekend XC Races Ndirangu won over 2007 WC's 10k bronze medallist Martin Mathathi. Tyler McCandless Wins Iwaki Sunshine Marathon In 2:27:35 How much prize money was on the line to get a 2:17 marathoner to go run a 2:27 in Japan? Ken Goe: "Rivals Shalane Flanagan & Karak Goucher Become Teammates, Friends And 2012 Olympians"
*Lance Armstrong To Race Ironman Panama 70.3 This Sunday? *WADA Wants Feds To Turn Over Armstrong Evidence They say it may help catch future cheats. AP Article On Bring Back The Mile Jim Ryun: "You have to be an astute track fan to really understand [1,500m is] about 110 yards short and you're going to add anywhere from 15 to 17 seconds. By the time you do all of that, you've lost a large share of the general public." 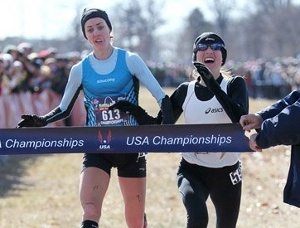 Blogger Asks "Is The Economic Pull Of The Marathon Hurting Track And Field In The US And At The International Level?" Looks at it from the perspective of individuals' long-term development as a runner. See the comments section for a lot of debate on the topic. 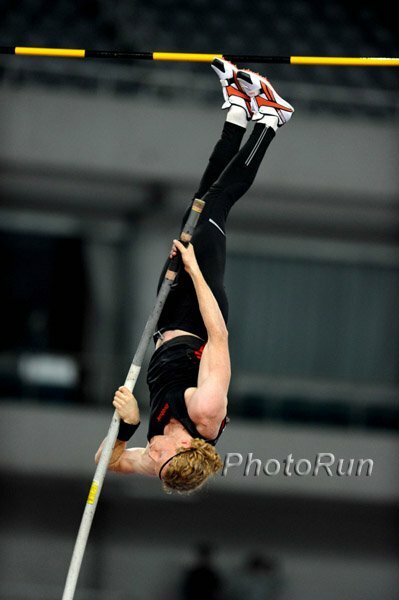 Aussie Blogger: The Future Of Track And Field? "The masses love to see [Usain Bolt] run, but will they still travel with as much zeal to a meet in which he is not participating? The overwhelming consensus is no. Their superficial love affair is with Bolt, not the sport itself." Steve Cram: Jessica Ennis In Good Shape For World Indoors www.bbc.co.uk Also talks a bit about UK's other medal hopes at next month's championship. BOA Says "We Own You": BOA Puts Out Extremely Strict Set Of Rules For UK Olympic Athletes Rules dictate everything from where the athletes need to be and when, what they must and cannot wear, and even what they're allowed to say. They are not allowed to make negative comments about the performance of team members or criticize the BOA or Locog. Also, they are not permitted to sell their issued gear, but the BOA "reserves the right to reclaim one piece of kit per competitor and sell it to raise money." Shouldn't They Focus On 2012 First? Charles van Commenee Wants Top UK Athletes To Compete At The Glasgow 2014 Commonwealth Games Foreign athletes will be happy as they will not have to pay income tax on prize money. 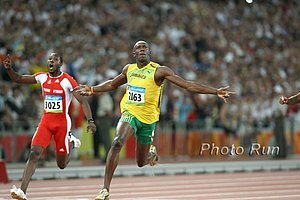 The UK income tax rule is why Usain Bolt has refused to compete there in the past. SA 400m Hurdles NR Holder LJ van Zyl Says He "Owes It To Himself" To Medal In London His future wife is trying to qualify for the Olympics as well in the marathon. 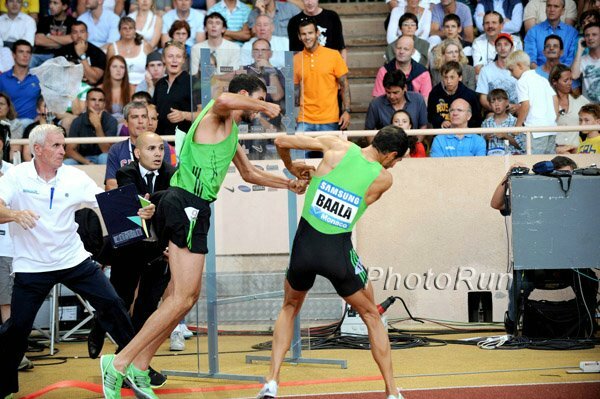 Preview Of Fantastic French Meet On Tuesday: The meet has an unreal 800, as world leader Adam Kszczot will taken on the man who beat Rudisha (Aman) plus the Olympic champ Borzakovskiy. Baala versus Kiplagat at 1,500. Plus the indoor debut of Lemaitre at 60m and 200m, Brimin Kipruto at 3,000, and the return of Pamela Jelimo begins as she'll race the 800. World-Class Performances At Aviva UK Trials Not a lot of hot distance action, although former FSU star Hannah Engalnd won the 3k - also Dwain Chambers in the 60m and Jessica Ennis in 60m hurdles. Steph Twell ran 4:09 in the 1,500. Dwain Chambers Approaching Training With Focus On Olympics Despite the fact that he won't know if he's eligible until April. Lance Armstrong Finishes 2nd In His First Ironman Lance had the lead at 12 miles into the run, but ended up losing by less than a minute. Interesting Video: How Do Tri Pros Feel About Racing Lance Armstrong? We agree with commenter who said "would be good to know who the dudes in the video are." Good Read: Lance Armstrong May Have Avoided Charges, But Speculations About Doping Are Far From Over "If Lance Armstrong was drug-free throughout his career, then no innocent sportsman has ever been more severely traduced." Some Great Quotes: NY Times: Fights Over Doping Charges Cast Shadow Over Cycling "Imagine that, around two years from now, a panel of judges rules that the New York Giants did not actually win the Super Bowl. Sorry, Giants, please Fedex the trophy to Boston. That is more or less the situation that the universe of professional cycling." LRC Meseret Defar Wants An Unprecedented 5th Straight World Indoors 3,000 Gold She will also race this Sunday (Update: Defar is out of this race) against 5k world silver medalist Sylvia Kibet and 2009 World 10k medalist Meselech Melkamu at 3k in Karlsruhe, Germany. Yenew Alamirew, Augustine Choge and Eliud Kipchoge headline the men's race. *Kaori Yoshida Tuning Up For Nagoya Women's Marathon With A 30k Road Race What's more interesting is how she paced a guy to a 2:30 who is attempting to qualify for Cambodia's London Olympic team after having changed his citizenship. *Daegu LJ 2nd Placer Mitchell Watt Blogs About Training & Holding Off Competing To Focus On Olympics He's already selected for the Aussie team, so he's not competing until June 9th. LRC Indiana University's DMR Gets The Auto With 9:29.12 It was also the 5th-fastest time ever recorded indoors. Includes race video and post race interview.